It’s Always Sunny in Philadelphia has been able to consistently find unique ways to have their group of drunken underachieving sociopaths exploit topics from the mundane to the taboo. Pro wrestling falls somewhere in between those two. Okay, maybe it’s not taboo (at least not since the Attitude Era) but when you mix in a healthy dose of jingoism and xenophobia you’re bound to rub some people the wrong way. Even Rusev and Lana’s schtick has made it into the mainstream news coverage. It’s Always Sunny in Philadelphia not only skewered the forever trite storyline of good vs. evil in the form of warlike foreign policy, but also lampooned the depressing, all-too-real, downward spiral most pro wrestlers’ lives take when they’re no longer headlining sold-out arenas. 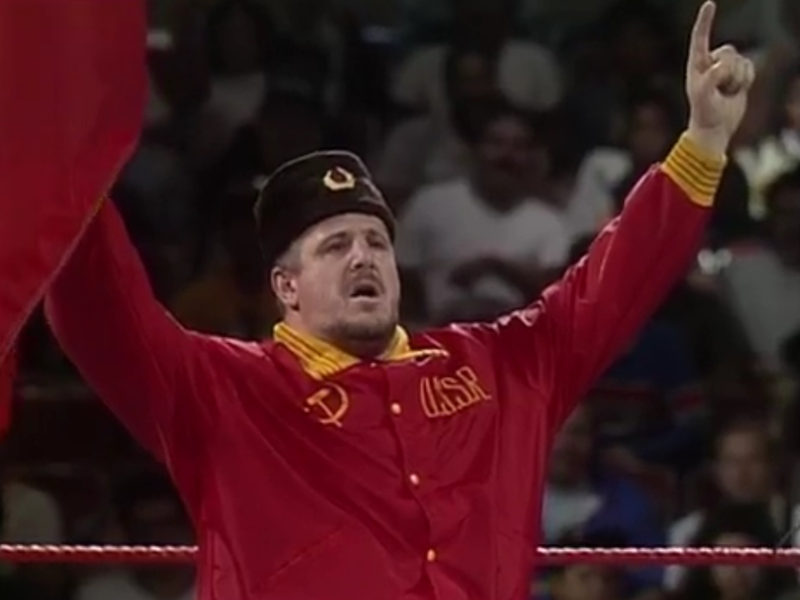 Oftentimes, a foreign wrestler who has such a strong hatred for America that it could only be remedied by moving to the U.S., joining the WWE, and fighting American wrestlers in American cities, with the occasional tour to other countries where they’re still booed, will sometimes turn babyface once they realize that America isn’t as bad as some people make it out to be. Usually, the foreigner’s xenophobic stance on American culture is gradually pacified by an American friend. Or, in the case of Tajiri and Kozlov, someone who speaks English better than they do. More often than not, despite how talented the wrestler is, assimilating to American culture means letting your guard down and becoming the comic relief. Because when we Americans aren’t busy trying to run foreign people out of our country, we’re usually laughing at them.